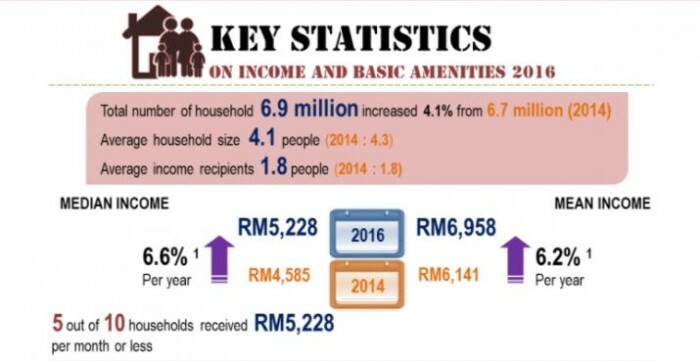 The Department of Statistics, Malaysia has released the findings from its Household Income and Basic Amenities Survey (HIS&BA). Conducted in 2016 and 2017 to collect data on the characteristics of Malaysian household particularly on income and basic amenities, it has found that median monthly household income for Malaysians increased to RM5,228 in 2016 – compared to RM4,585 in 2014 with a growth rate of 6.6% per annum at nominal value. In terms of real value, the median monthly household income grew at 4.4% whereas the median monthly household income in the urban area increased 6.4% per annum from RM5,156 in 2014 to RM5,860 in 2016. Simultaneously, the median monthly household income in rural area also increased at 5.3 per cent per annum from RM3,123 (2014) to RM3,471 (2016). When it comes to the median income by state, Wilayah Persekutuan (W.P.) 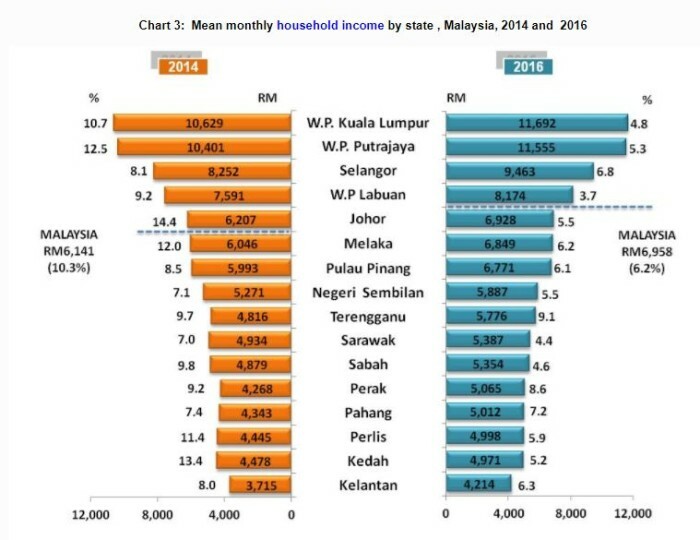 Kuala Lumpur recorded the highest median monthly household income of RM9,073 followed by W.P. Putrajaya (RM8,275), Selangor (RM7,225), W.P. Labuan (RM5,928), Johor (RM5,652), Melaka (RM5,588) and Pulau Pinang (RM5,409). 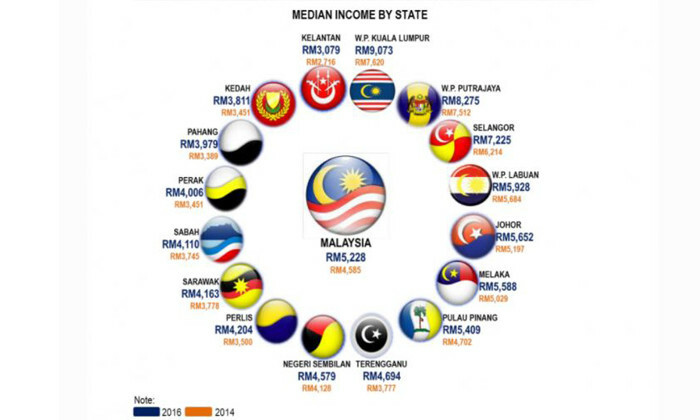 Other states recorded median income that were below the national level of RM5,228. Terengganu registered the highest annual growth rate of median monthly household income at 10.9% during the period of 2014 to 2016. Additionally, six other states surpassed the national median growth rate – namely Perlis (9.2%), W.P. Kuala Lumpur (8.7%), Pahang (8.0%), Selangor (7.5%), Perak (7.5%) and Pulau Pinang (7.0%). On the other hand, the mean monthly household income for Malaysians has increased from RM6,141 in 2014 to RM6,958 in 2016 – an increase of 6.2% in nominal value. In terms of real value, mean monthly household income grew at 4.2% per annum. On that note, the mean monthly household income in urban area grew 5.8% annually from RM6,833 to RM7,671 in the period of 2014 to 2016. Meanwhile the mean monthly household income in rural area increased at the rate of 6.5% yearly from RM3,831 (2014) to RM4,359. As for the different states, W.P. Kuala Lumpur recorded the highest mean monthly household income (RM11,692) in 2016 followed by W.P. Putrajaya (RM11,555), Selangor (RM9,463) and, W.P. Labuan (RM8,174). 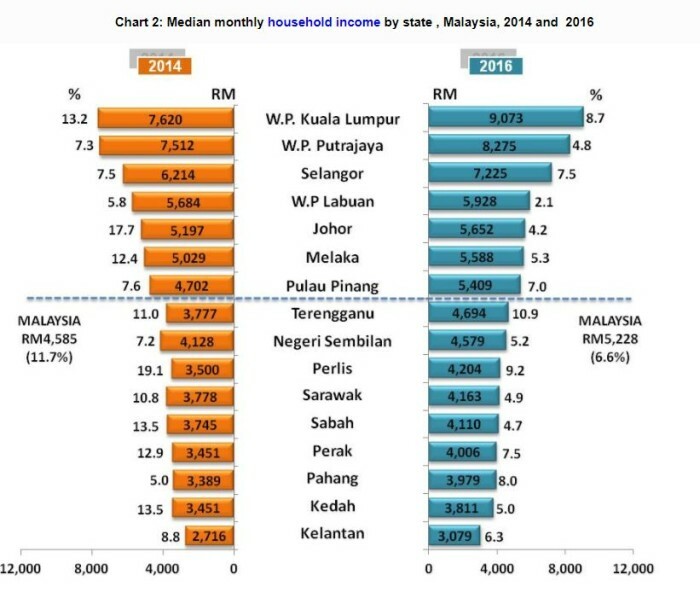 Other states recorded mean monthly household income below the national level (RM6,958). The mean monthly household income of all states has increased where five states exceeded the national growth rate of 6.2%. Terengganu recorded the highest growth rate of 9.1%, followed by Perak (8.6%), Pahang (7.2%), Selangor (6.8%) and Kelantan (6.3%). Meanwhile, comparing the household income by district level has shown that districts of Sepang (RM8,174), Petaling (RM7,904), Gombak (RM7,903) , Hulu Langat (RM7,851), Klang (RM6,724) and Johor Bahru (RM6,518) recorded the highest median household income of the 140 administrative districts in the survey in 2016. In fact, the ranks of the six highest groups remained unchanged as compared to 2014. 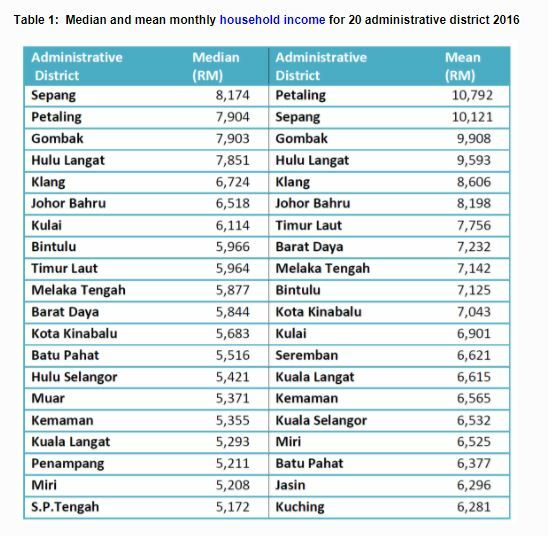 Seventeen districts recorded higher median household income than the national level of RM5,228 and 11 districts registered mean household income above the national level of RM6,958. Additionally, the survey also revealed the four main sources of income being paid employment (63%), self-employment (15.6%), property and investment (12.9%), and current transfer received (8.5%). Is this the best job ever? A Scottish firm is looking for a chief chocolate taster who'll be paid in monthly supplies of chocolate bars. Talk about a sweet d.. 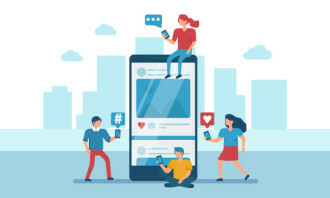 Your weekly update on job movements in HR - featuring new hires at Maersk Line, Japan Tobacco International, and many more. 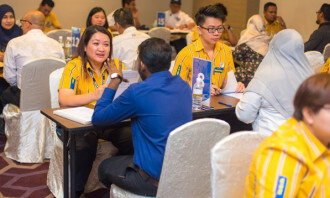 ..
Motorola, Starhub, Microsoft and Razer have already joined IDA's new iPACT programme to boost tech talent in Singapore. ..